North of the historic Santa Fe Plaza! Newly remodeled 1900 sq ft, 3 bedroom/2 bathroom condo in the popular North Hill Compound. This Santa Fe vacation property features plaster walls with warm stucco colors found in the southwest. The kitchen is totally remodeled with stainless steel upgraded appliances. Both bathrooms and kitchen are finished with traditional Mexican tile. 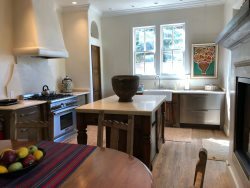 The property has Saltillo tile throughout, a fireplace in the living room and flat screen televisions. There is high speed internet for those of you who need to work while on vacation. 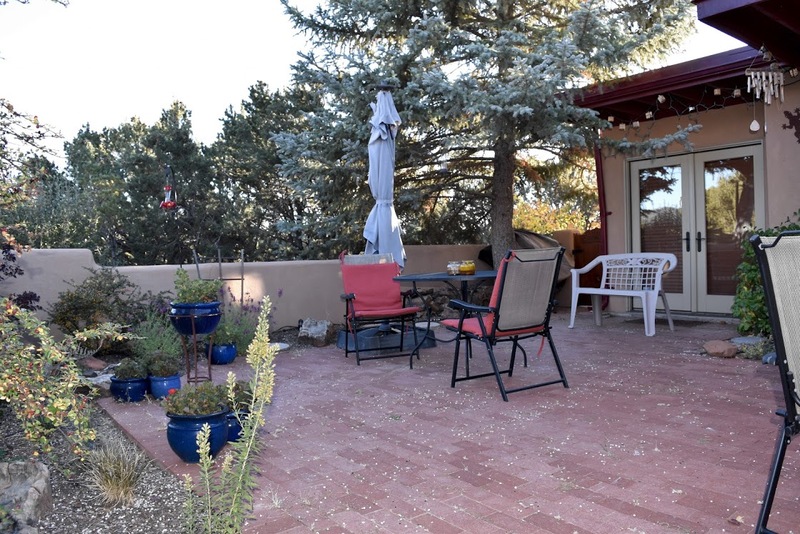 Sit on the private patio area and have your morning coffee while enjoying the view of the Sangre de Cristo Mountains. This is the perfect setting just a short drive north of the historic Santa Fe Plaza. For those warm summer nights, this home offers air conditioning.